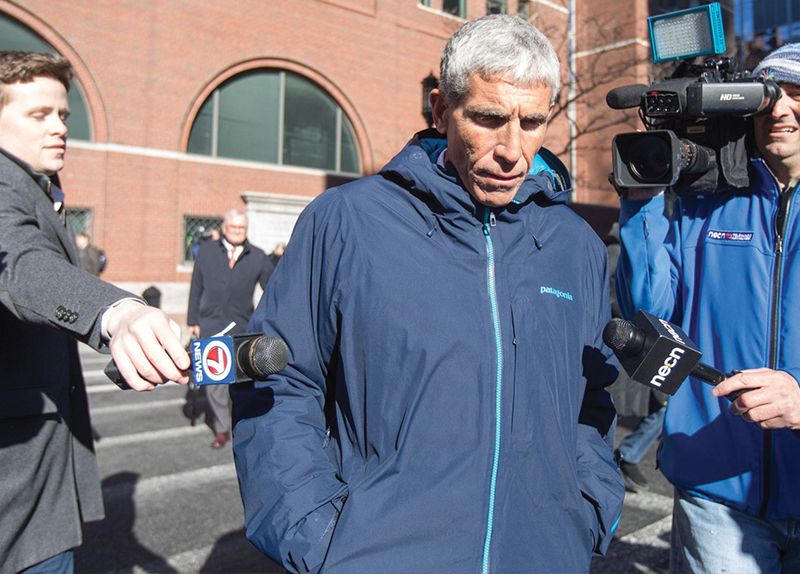 Nearly 50 people have been charged in the U.S. over a $25 million (W28.3 billion) admission scam that helped get the children of wealthy Americans into the country’s top universities. It is the largest case of its kind ever to be prosecuted. The defendants include actresses Felicity Huffman and Lori Loughlin, as well as top ranked executives of a number of large law and financial firms. In total, 33 parents and 13 people associated with the college-prep company at the heart of the scandal were charged. Based in Newport Beach, California, Edge College & Career Network charged parents between $200,000 (W226.3 million) and $2.5 million (W2.8 billion) per student. To gain admittance, they bribed coaches, hired fake test takers, and even doctored photos. Profits from the venture were siphoned off into a fake charity. The mastermind behind it all was William Singer, 58, who has since pled guilty to racketeering, money laundering, and obstruction of justice. He admitted that his business focused on getting kids into universities through their sports programs, which often have lower academic standards for incoming students. He told parents to claim their children had learning difficulties in order to get more test time for the SATs, and he directed students to two testing centers: one in Houston and one in West Hollywood. He had bribed test administrators there to fix answers or to allow a different person to take the test. In an operation dubbed “Varsity Blues,” 300 law enforcement agents across the country were involved in the arrests. Not everyone has submitted a plea yet, but all defendants are expected to be released on bond. If convicted, some could face up to 20 years in prison. No students have been charged. In fact, in most cases, it seems they were unaware of what was going on. There have been other admissions scandals in the U.S. in recent years. One in Boston involved widespread cheating on exams by Chinese nationals. In 2016, hundreds of SAT questions were leaked. The current scam dates back to 2011 and has helped students get into Yale, University of California, Stanford, University of Texas, Georgetown University, and Wake Forest University. The universities decide how to deal with students who cheat to gain entry. 1. How many people were charged in the admission scam? 2. Who are some of the defendants in the case? 3. According to the article, what happened in 2016? 1. Do you think similar illegal operations like this exist in Korea? 2. Should accused parents that are found guilty go to jail as punishment? 3. Should students who were unaware of their parents' actions still be allowed to apply to universities? 4. Would you ever feel tempted to cheat if you could get into your dream college?